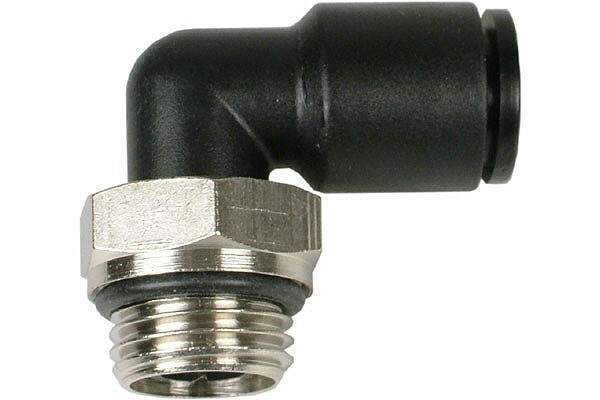 Plug in/Push In angled quick connector made from brass/POM for hoses with an outer diameter of 10mm. G1/4" outer thread revolvable with O-ring seal. Width pprox. 33mm, height approx. 35mm.